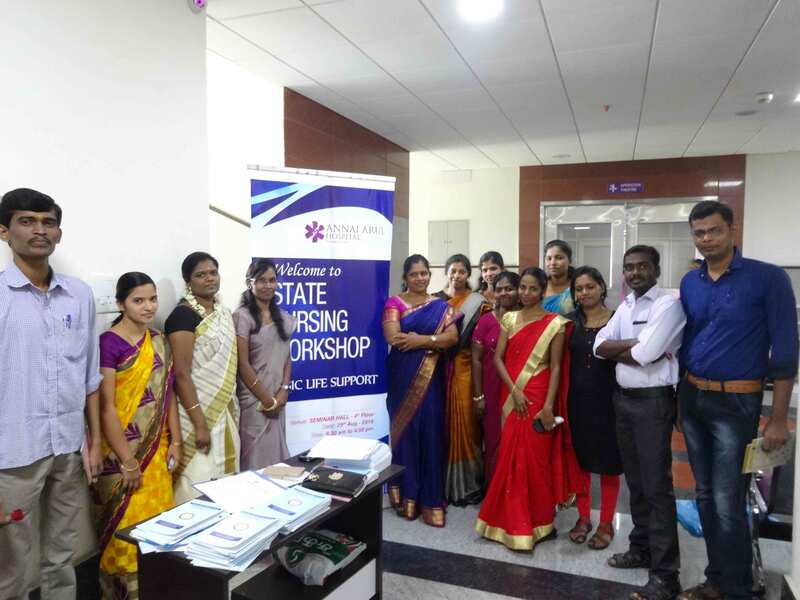 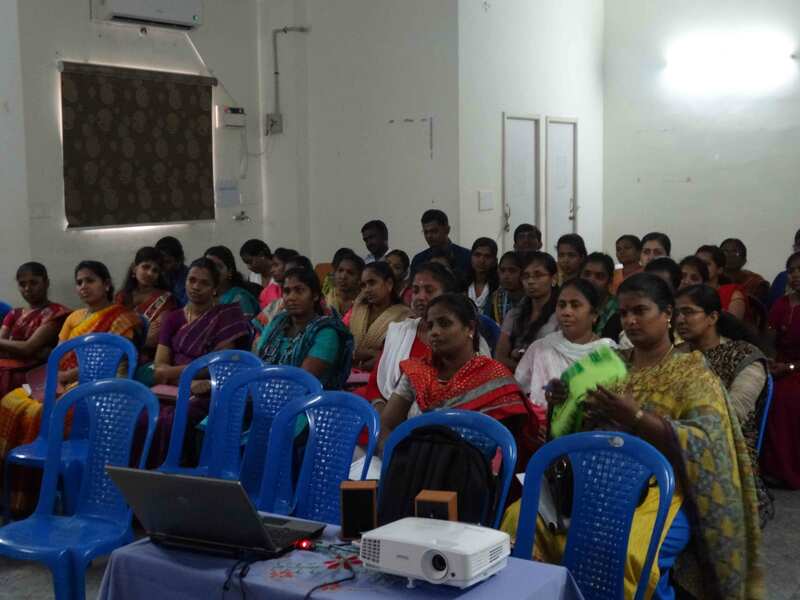 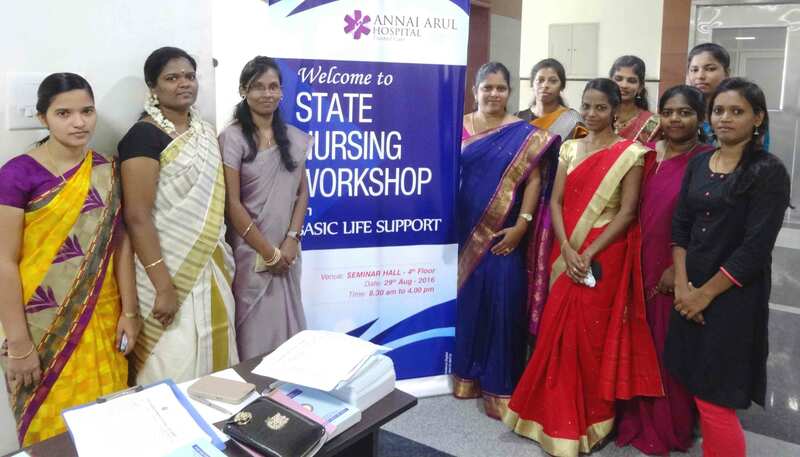 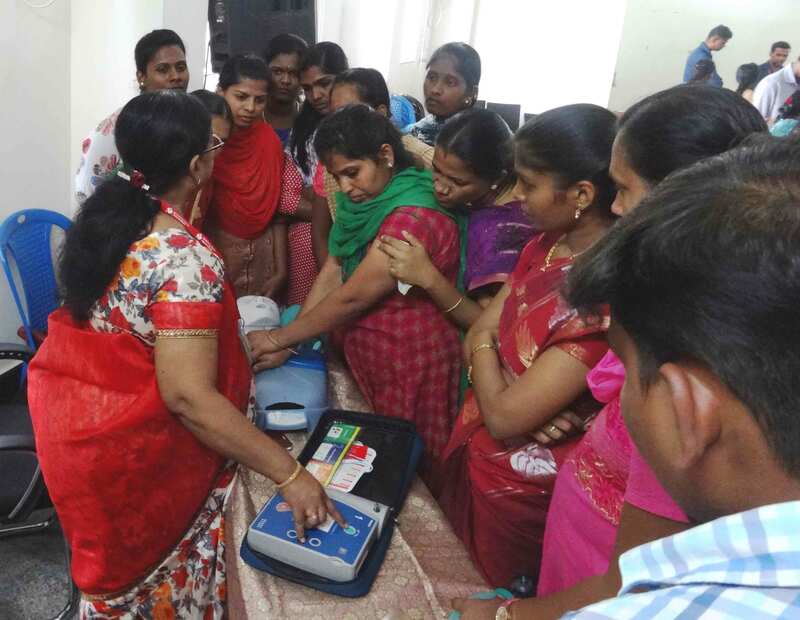 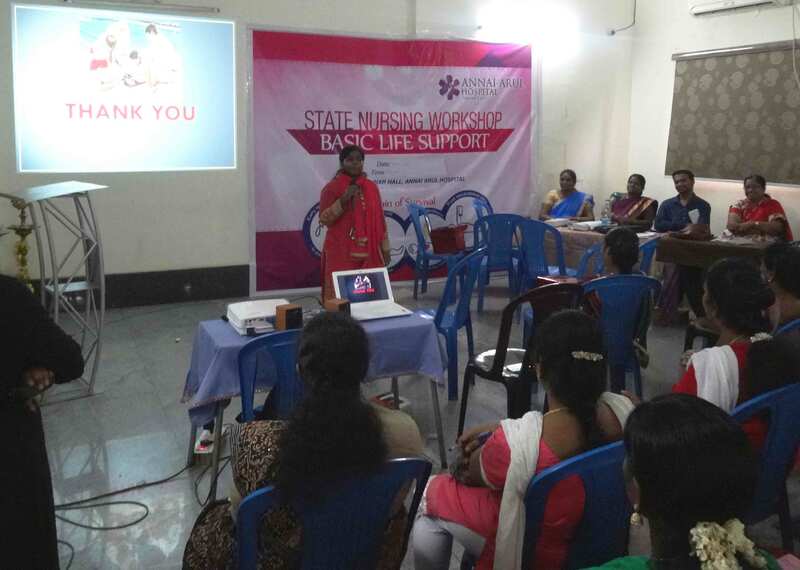 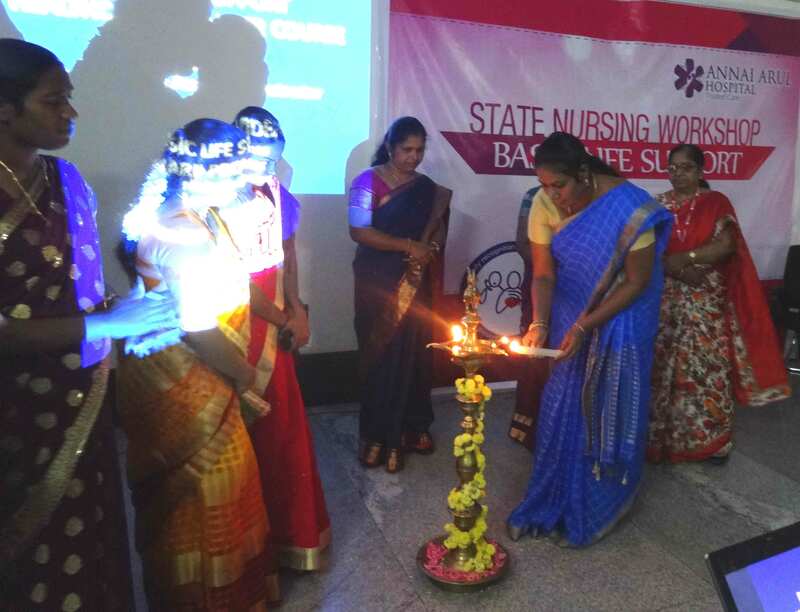 Annai Arul hospital conducted a State Nursing Workshop for the nursing staffs on Basic Life Support on the 29th of Aug 2016. 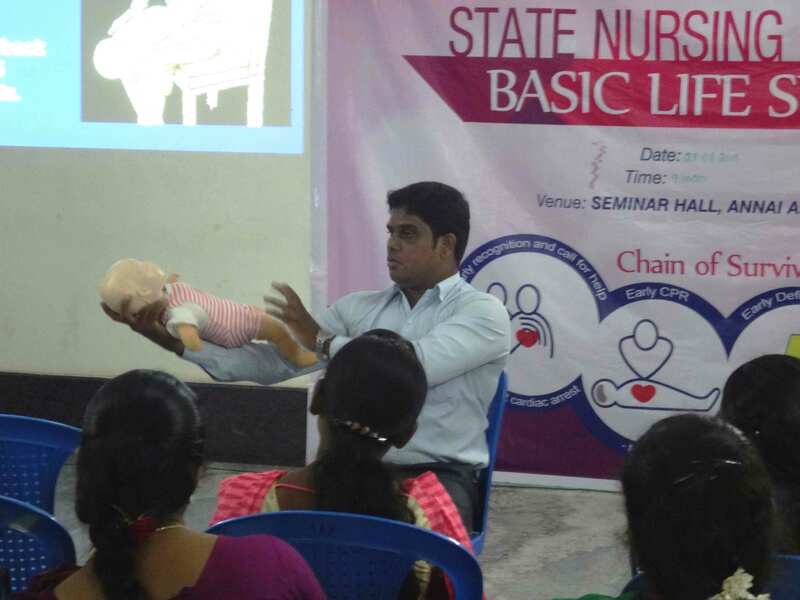 The programme started with a presentation regarding the components of BLS by Mrs. Lydia Agnes, lead Clinical Instructor at American Heart Association and TACT Academy followed by the practical session on CPR for Adults, Children and Infants. 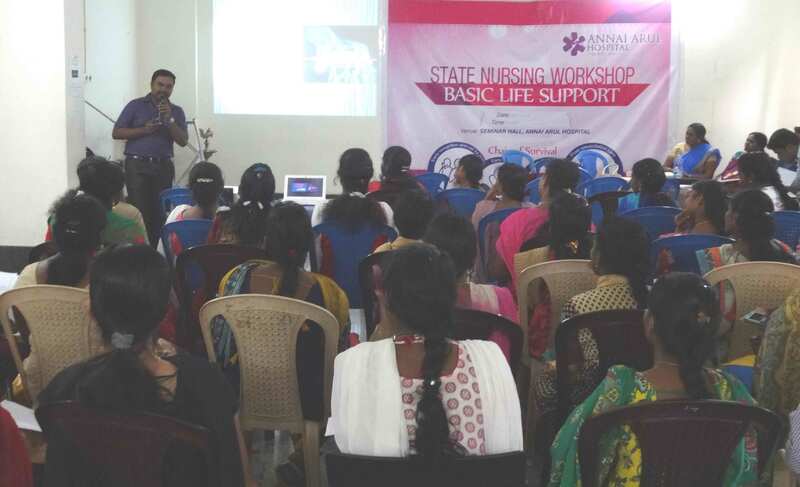 Dr. Gnanasekar Consultant Anaesthetist at Annai Arul Hospital presented the step by step process on Chain of Survival. 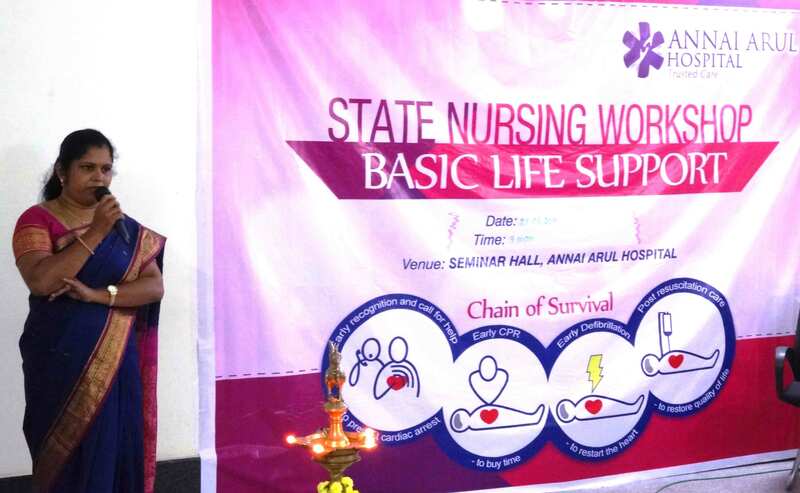 Around 45 nurses participated in the training programme; staffs were awarded with certificates and license for BLS.